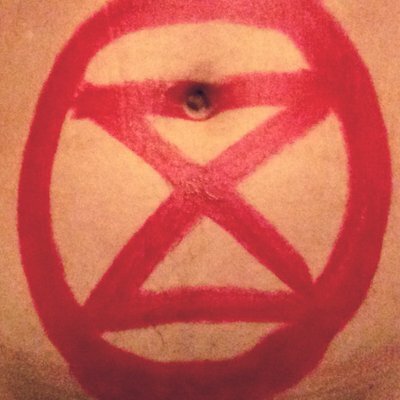 BirthStrike is a new solidarity group – and a platform – for those who have decided to not to bear children because of the recent predictions of climate breakdown. A recent report by the Intergovernmental Panel on Climate Change (IPCC), the United Nations body for assessing the science related to climate change, warned that Earth faces disastrous global temperature rises of 3C by 2100 and 8-12C by 2250 unless humanity cuts its greenhouse gas emissions – currently equivalent to 50 billion tons of CO2 a year. And BirthStrike is group of women and men who have come together to publicly declare they will not have children because of the growing threat of climate and ecological collapse. This group is so disappointed by the lack of reaction to climate issues by world leaders that they feel too concerned to pass this burden on to a child. And as reporting on climate and ecological breakdown intensifies, BirthStrike will be a platform to speak out, to protest, and to spark a conversation about what it means to be part of the human species as its extinction is contemplated. The group hopes to inform the general public outside environmental circles just how serious the collapse of our environment could be by sharing their stories and having an open space for discussion and solidarity. They also hope to raise awareness in the mainstream that people are taking this kind of decision much more often and that it is a sign of how serious a situation humanity and the environment is in. And discussing BirthStrike shows how the threat of ecological disaster is altering the way we imagine our future. It is a radical acknowledgement that our planet has entered a 6th Mass Extinction event due to man-made impacts on the environment. BirthStrike also stands in solidarity with the environmental justice movement, the academic and scientific community encouraging acts of rebellion and widespread system change in order to save our future. The group also backs fast acting and deep change towards an equality based, sustainable, caring and non-violent future for humans and between all life on earth – but disagrees with prioritising population control over system change when it comes to tackling the environmental crisis, disagrees with any enforced population control measures and recognises the colonial violence of such measures that have been proposed in the past and present. The founder of BirthStrike, singer Blythe Pepino, aged 33, said: “Last year I read the latest report from the Intergovernmental Panel on Climate Change and I realised how wrong it would be to bring a child into a world on the brink of catastrophe. “It’s a very hard emotional message to decide not to have kids but I hope it might break through the fear and diffidence that surrounds this subject. And Alice Brown, who also works on the BirthStrike Movement, said: “I am depressed every day because of the ecological crisis and I’m terrified of passing this burden on to a child. To find out more go to their Facebook page, Tumblr, or Twitter.